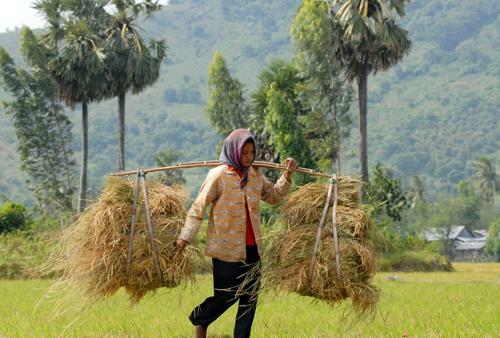 These days Khmer people are harvesting rice on the Bay Nui fields in An Giang Province. 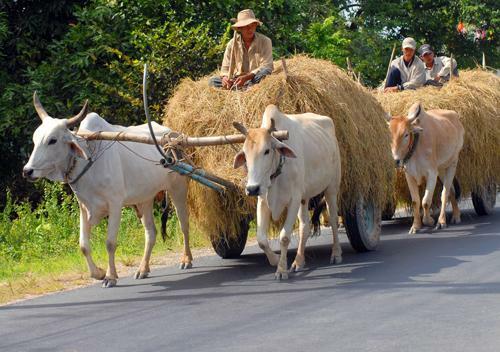 The Bay Nui region includes the two districts of Tinh Bien and Tri Ton which border Cambodia. 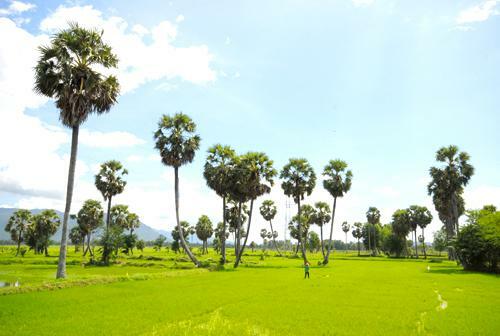 This is the area with the biggest community of Khmer and the only place with highland fields in the Mekong Delta. 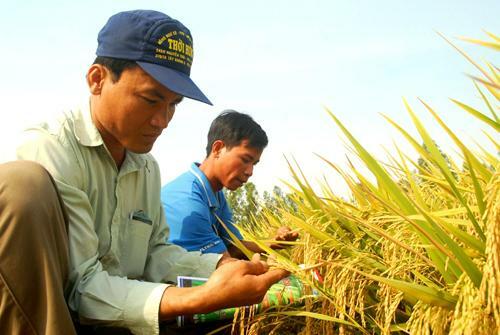 There are about 2,000 hectares of agricultural land in Bay Nui, with two crops each year, i.e. summer and autumn-winter crops. Local farmers also grow vegetables and fruit. 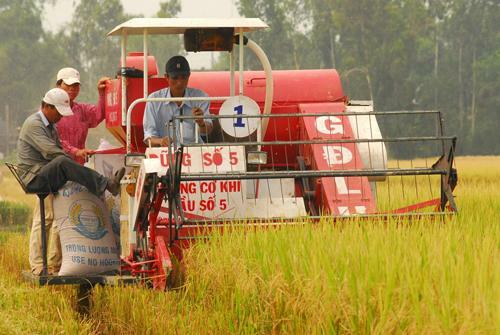 Farmers cannot bring water from the delta to this highland so they have to depend on rain to grow rice. 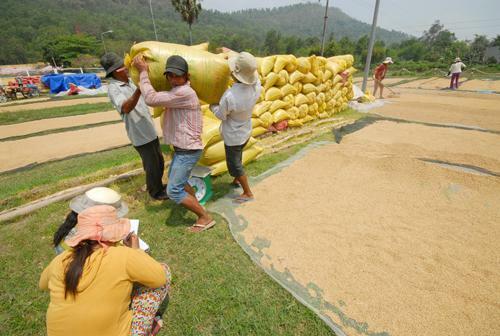 The rice productivity here is low, but especially, this is the home to the famous rice variety of Nang Nhen. 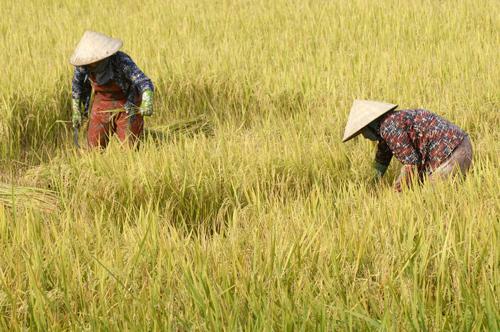 The areas of rice cultivation in Bay Nui are small so farmers have to work manually. 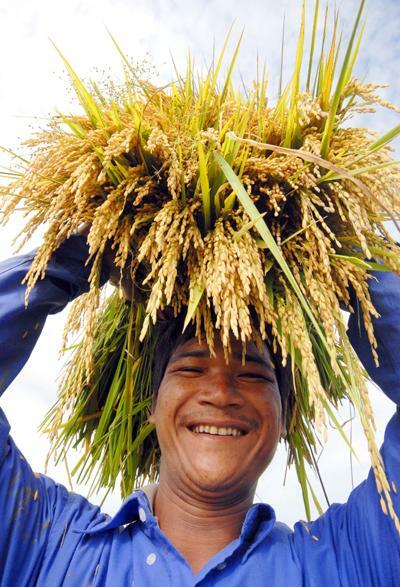 After harvest, rice is carried home. Only where there is less mountains, the harvest is mechanized. 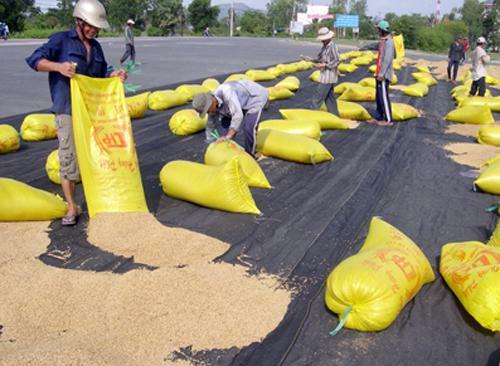 Taking rice to the drying ground. 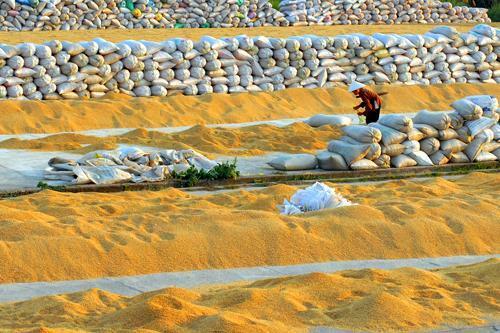 Dried rice is sold to traders. The people here make use of agricultural residues such as straw, to feed cattle.